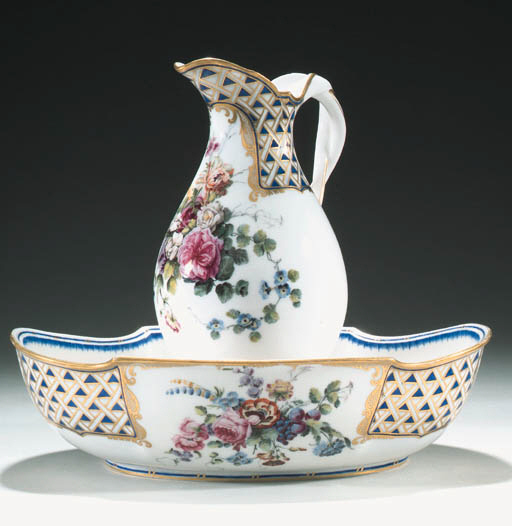 The decoration on the present pieces was used at Sèvres as early as 1756. In 1760 a service of this pattern was presented by Louis XV to the Electeur Palatin and is now housed in the Residenzmuseum, Munich. Three years later a similar gift was presented to the Duchess of Bedford.